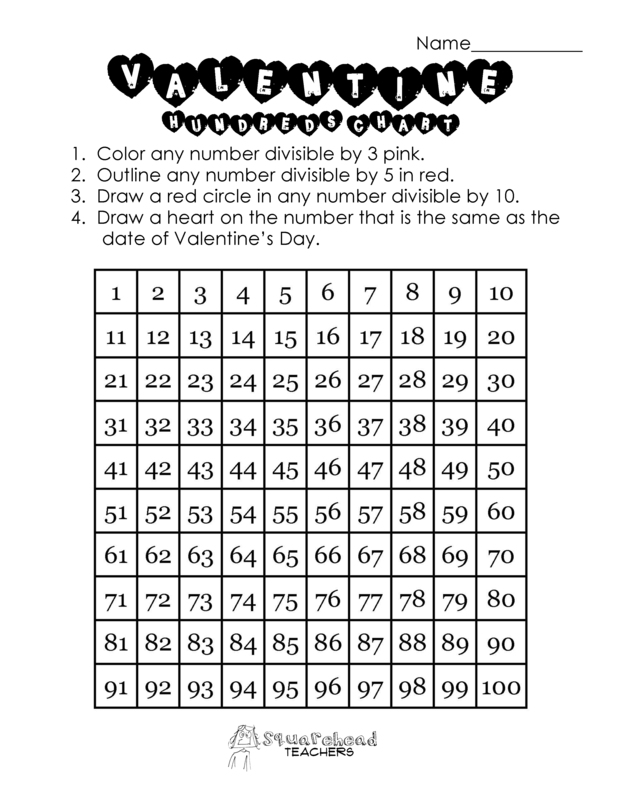 Here’s a number sense practice page (dealing with a hundreds chart) for Valentine’s Day. There’s never a wrong time to review numbers. Click here for the 2 versions (printable PDFs): chart- easy chart- hard Happy Valentine’s Day! Click here for more free math stuff! This entry was posted in Holidays/Seasons, Math, Valentine's Day and tagged Children, Education, Elementary School, Homeschool, Hundreds Chart, Kids, Teacher Resources, Teachers, Teaching, Valentine's Day by Squarehead Teachers. Bookmark the permalink. Cute idea! 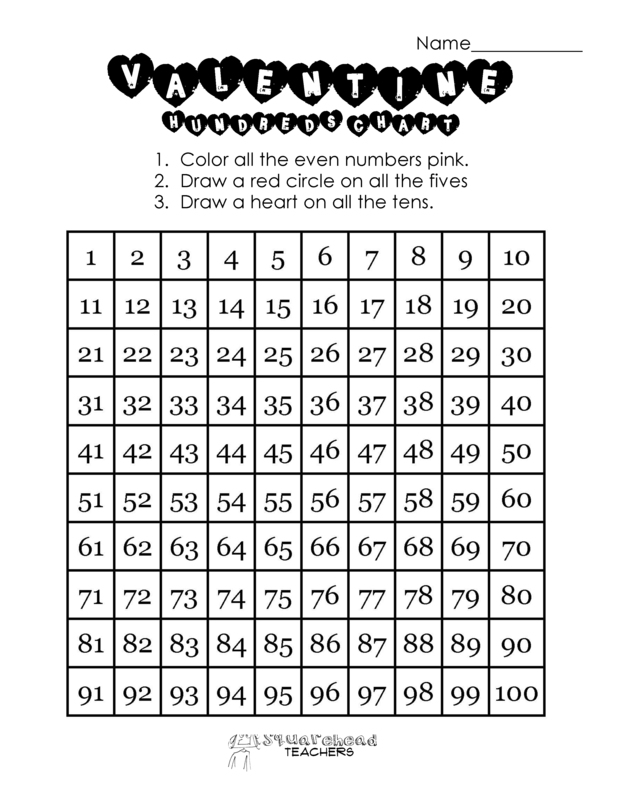 I’m always on the lookout for practice activities with hundreds charts! Thanks! Let me know what your students think of it!